An eruption has started. Hope it's small. Stay tuned. I was assigned "The Visit" by the Swiss playwright Friedrich Durrenmatt in college. It was written in 1956, with the super-obvious themes of collective versus individual guilt, and the ability of regular folks to quickly find rationalisations for doing evil things. FD was looking over his shoulder at the recent events in Germany and Austria, with hints of accusation at some Swiss sympathy and collaboration with Nazis. At least, I thought it was super-obvious even as an 18-year-old in 1971 and my professors agreed. There was a famous essay at the time which I have never since been able to track down, illustrating that French writers of the 50’s had strong themes of victimhood, German writers of guilt, Swiss writers of ambiguity, etc. It was likely overdrawn, but examples were given and it was based on something. Durrenmatt was also a member of Olten Gruppen, a pretty reliably anti-Nazi collection of writers, even if their opposition to communism was more spotty. Apparently I missed the memo, as the wikipedia article and other current writing about the play and its adaptations don’t include reference to the first theme. It has become more important to discuss the themes of money corrupting us all and justice for purchase – both legitimately present – plus women’s rights, prostitution as a metaphor, and dehumanisation, which are less prominent. Note that the accusations which are commonly leveled against America are those which have remained. Let me assure you that if one keeps listing the same dozen faults of societies as the ones we should be concerned about, neglecting to mention another dozen which apply to other societies, most of your better students will have the first set of faults become their mental furniture and be unable to think of the others unless someone mentions those to them. And think it was their own conclusion. Because…in a way it was, as some of the lesser students don’t pick this stuff up even when you tell them it will be on the exam. Those will then go forward into the world knowing that they are smart and able to understand things that the proles don’t. It reminded me of discussions as far back as my childhood years about how 1984 and Animal Farm were intended as cautionary tales about what could happen in America and the West under right-wing governments. More than one person told me in meaningful tones in 1980 how significant and frighteningly ironic it was that we were in danger of electing Ronald Reagan to be president when 1984 rolled in. Heck, I may have residually thought so myself up until that time. Orwell, a disillusioned but continuing socialist, could not have been clearer that Ingsoc owed more to soviet socialism than national socialism. No matter. We know where the real dangers lie. McCarthy just has to be more dangerous than Hiss. A production of "Rhinoceros" in San Francisco - the straight characters were all reinterpreted as lesbians because...well, because SF is a very original place where they think of things like that. "Phaedra" as a gay play, "Othello" as an African-American lesbian, "Hippolytus" as a play about forbidden love, or even the Bible redone as gay in Terrance McNally's "Corpus Christi," I'm sorry, I got distracted by the originality there. Back to Rhinoceros in San Fran: "The rhinoceroses are dot-commers whose SUV's and cell phones signal the call of wild greed." Retriever notes that there may be serious trouble coming in Iceland. Hopefully just a little something. Update: A personal situation again comes into play. Intelligent people, well-meaning in many ways, and not especially liberal. Yet the style is there in criticising a public figure - insulting, condescending, mean in a way that they would not tolerate directed at other groups. Yet no self-observation, because they are Good People, and while they would fess up to individual failings, accept without question that the road they are at least attempting to travel is the right one. Not much to be said. I have mentioned before my belief that liberal ideas are more likely to be spread socially than by intellectual argument. This is a percentage deal, of course. It may be that most ideas are spread socially rather than by force of reason, and conservatives not much different. Nor libertarians, greens, Methodists, Unitarians, or vegetarians. Could be. My observation mostly came about because the insistence by those on the left I came from was quite emphatic that they were the thinkers and reasoners, in contrast to their troglodytic opponents; this I discovered was not true, not even close, and have observed repeatedly since. Social shaming is very big there. If one imagines online or social media discussions as a cocktail party, one sees the same type of persuasions in play: uncomfortable silences, we don't say that here, the best people assure us darling - the many social signals people give to tell you that you are going over like, well like a skunk at a lawn party. Like a turd in the punchbowl. I think it is important to mention that this does not seem to increase as one moves farther left, nor grow fainter as one approaches the center. If anything, it is the less strident, kindly people who care about strangers and social injustice who do it more than the extremists. On the right, being declarative is more the norm, and I think this does increase the farther right one goes. Go far enough out the trail, and you find people who make confident assertions about more and more opinions. There are people on the left who do this too, just as there are conservatives who will treat your unfortunate opinion as more of a faux pas than a falsehood. I know exceptions both personally and by what I read around of these methods of persuasion. But it leads to further theory: do people gravitate to their politics because the culture or method appeal to them, or suit their abilities. I pick up social signals well and that was a lot of my stock in trade when I was a man of the left. Did I abandon the left because I was unwilling (or constitutionally unable) to make my arguments that way, being a more blunt and declarative person? Was any of my move rightward - or outward, upward, anyway - attributable to rejection of that style? It's the lack of self-observation that gets me - the failure to see that insult has been given when it was clearly the only possible point of the comment; followed by thin-skinned being insulted oneself when the obvious is pointed out. I never seemed to get over that discovery in the 1980's. Yet I have to admit, that's not a logical argument for political premises either. Yet the cultural left has its lists as well, just delivered differently, letting you know that they like NPR, working in the arts or humanities and supporting public funding, having people who look very different in the same picture, public health, international understanding - those are just harder to put into a song. And further - it has been remarked by many that there is a high-school cool kid condescension from the Maureen Dowds, the Frank Riches, the TV talking heads, the Clintons and the like. I wonder if this is part of the pattern. Wer these the kids who caught the social nuances, down to the most subtle, of the bright kids and coolest teachers, and gravitated to their culture because it was one they could succeed in? Was this reinforced by the similar styles of academics, especially in the social sciences and the arts, creating a powerful identification that just naturally extended to their political and social fashions? I will have to relook at the Jonathan Haidt summary data to see if there's anything there. You kids who went to Christian schools, there may be muddied waters or even reversals on this. There is also a possible conservative counterpart, which I have only dimly worked out to this point. 19th C ballplayer Dan Casey claimed to be the Casey about whom Ernest L. Thayer wrote his famous poem, "Casey at the Bat." Casey was given a parade honoring him as the famed "Casey," was featured on a national radio broadcast, and participated in a "re-enactment" of "Casey at the Bat" when he was age 78. The poem's author denied that his work was based on any real player, and several sources have called Casey's claim into doubt. Casey had a career batting average of .162 and one home run. Well, there's a reason for suspicion he might not be Mighty Casey right there. P.S. -- I see by the papers that this infamous old fraud has just died again, in Arkansas. This makes six times that he is known to have died, and always in a new place. The death of Washington's body-servant has ceased to be a novelty; it's charm is gone; the people are tired of it; let it cease. James and T99 both mentioned that urbanites desire and perhaps require more enforced government intervention, which i knew but wasn't thinking about when I wrote. At least in this part of the world, you worked in the city or town most of the year, but you had a primitive place out in the boonies where you went for two weeks plus weekends in the summer, or camped in the wilderness, or some other back-to-nature arrangement where you could pee into the stream if you wanted to. That seems like a plan for everyone to get along - except that the boonies have filled up in places, unless you want to head even farther out. But that takes time that we are no longer willing to spend - we want to hit the ground running and get to the cottage by 7:30pm Friday and not leave until after supper on Sunday. As the boonies crowd up, they start needing the same sort of forced cooperation of more densely populated areas. Canada's pretty empty. They've got an incredible amount of fresh water, too. How do we get there fast? Similarly, when I first went to Romania in 1998, one could build a new house for $6000. We never snapped for it and it's much more expensive now, but for a certain type of getaway rural Transylvania isn't bad. I hear people retire to places in Mexico and Costa Rica for the same reason. I'm figuring you can be left alone pretty well there. Junior High youth group did a talent show occasional years, and I was MC in 7th grade for "Hicks In The Sticks," which I imagine was the title of many a cobbled together series of corny skits in the 50's and 60's. I also got to sing the following song. There is a longer version, with lyrics they would not have allowed a young man to sing at a church back in the day, though no one would bat an eyelash now. In the sidebar at Youtube you can find a whole collection of old-timey Western Swing music, including a few by the Light Crust Doughboys (Zeke, Cecil, Snub, Parker Willson the Announcer, Abner, Bashful, Junior, and about a dozen other guys named Pappy, Doc, or CJ over the years), originally a Bob Wills band out of Texas that reconstituted in the 1990's. There's a reason they used to call it Country & Western music until gradually shortening it to just Country in the 1980's - Western music was more popular all over, not just in Texas and Oklahoma. I blame John Denver for the change. hbdchick links an article from Science 2.0, The Most Violent Era In America Was Before Europeans Arrived. That's a bit of an overdramatisation. The article focuses on enormous violence in a single region: southwest Colorado and the Puebla Indians. Writing in the journal American Antiquity, Washington State University archaeologist Tim Kohler and colleagues document how nearly 90 percent of human remains from that period had trauma from blows to either their heads or parts of their arms. "If we're identifying that much trauma, many were dying a violent death," said Kohler. The study also offers new clues to the mysterious depopulation of the northern Southwest, from a population of about 40,000 people in the mid-1200s to 0 in 30 years. Still, it is a counternarrative to the expected one that there was very little conflict until natives learned it from the Europeans. Peoples is peoples, and they don't seem to nicen up until A) they stop marrying their cousins, and/or B) start engaging in specialised trade, from which many benefit. From the landing of the Puritans until King Philip's War in 1673, the Newenglanders had conflict but little warfare, in contrast to both the Europeans back home or the native tribes just inland from the coast. Perhaps death, disease, and starvation held them together, as well as a desire for each others' goods. 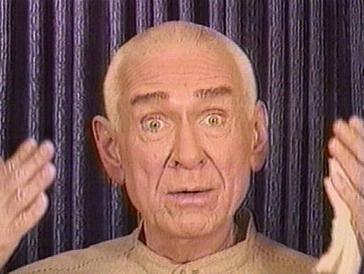 The wikipedia article-of-the-day sometime last week was Marshall Applewhite, leader of the Heaven's Gate cult that all committed suicide almost twenty years ago when the arrival of the Hale-Bopp comet convinced them that it was time for them to go up to the spaceship and get new bodies. Something like that. Looks pretty much schizoaffective disorder, bipolar type to me, at least from a distance. Actually pretty much just from his photograph one might take that as a working guess. Poor sexual control, omnisexual, check. Fluidity of beliefs, changing repeatedly, check. Charm based on intensity that is a bit much for many folks, check. Lack of insight or willingness to consider alternatives, check. Here's an interesting bit about psychotic prophets. A large part of their prophecy revolves around - them being the prophet. That's all. Believing in them. One of my patients today assured me quite angrily that I would be kneeling in front of him someday. He is furious at his wife for being "in rebellion" for fearing that all his money-and-fame schemes won't work, when the Bible clearly teaches not to fear. Believing in him is really the only teaching of this prophet. It's interesting because that's where God starts out in Genesis, and where Jesus starts out when he starts his ministry. Consider that Lot gets just about nothing right except somehow clinging to this one God YHWH. Yet that is good enough, at least in that stage of the covenant. The difference is that Genesis gives way to Exodus, and a whole lot of learning to understand just what is important to this God; and Jesus moves pretty quickly to deeper lessons. Yet perhaps mere identification is the only start we can make. Folks of a libertarian bent are fond of rhetoric claiming to dislike just about everything about government. Certainly, the ultimate extension of libertarianism would be some form of anarchy, though that comes in several flavors. More commonly, there is a fondness for quoting one political thinker or another about a sharply limited role for government – defending the borders, issuing a currency, and some sort of system for resolving disputes. That plays out similarly at the other end of the spectrum. No one wants to get caught looking so uncynical and easily-duped as to say “three cheers for government,” so folks retain their self-respect by saying “two cheers for government.” There are elaborate rituals and disclaimers that go with this, sighing ruefully that yes, yes, government and bureaucracy do complicate matters and sometimes make things worse; that the people who go into government are not our best sorts; that most of all, government usually only partly delivers on its proposed goods and is very expensive. Alas, alack, and well-a-day. But what else shall we do? We must have these things, and we can improve the government problems by having more Accountability, which is of course just more government. Thus, I don’t think we should be fooled. Two Cheers For Government is really just one of those moustache and glasses disguises over Three Cheers For Government. There is cheer-deflation going on, with everyone pretending to dislike government more than they actually do. The upshot is that the people claiming 2 cheers get to think of themselves as calm, reasoned, and measured, even if they actually are extremists. I would say that they get to paint their opposition as extremists, but as the zero-cheer folks seem to actually be embracing it, it’s hard to blame it entirely on others. Still, there are attempts from the 3 Cheers people (Stop. That’s not fair. I’m only a 2 Cheers person. This is my real nose, glasses, and moustache.) to make lists from time-to-time of how much everyone likes government stuff, as if there actually were movements afoot to board up town hall, knocking down a man that’s at least mostly straw. Boarding up Washington DC, maybe. Without the deflation, however, it would be clearer who was arguing for what among the 1, 2, and 3 Cheer contingents. I like clarity. People’s reasons for looking to government are often naïve, starry-eyed, and refusing to engage reality, but they aren’t entirely crazy. Guaranteeing various civil rights usually comes up, not unfairly. It may indeed have eventually but more slowly occurred that blacks got fully voting and other rights in the 60’s, as the state-by-state trend was clearly in that direction, and courts were consistently ruling against legislatures. (Thurgood Marshall believed for that reason all the protests were unnecessary and put people at risk, for example.) Schools might have gradually integrated, or at least the states could have done the gradual mandating instead of the feds. Yet it does seem in retrospect that the federal solution was efficient. Lots of unfortunate downstream effects from things like affirmative action did indeed occur, and ignoring those is not being fully upright and realistic. But the simple fact is that the less-dramatic strategies had not in fact yet worked. People might have eventually worn seatbelts – but they weren’t. It’s a slippery slope that leads to limiting soda cup sizes in restaurants, but really, requiring people to wear seatbelts in order to use community thoroughfares doesn’t bother me. It irritates me greatly when people make arguments for a new government service or regulation that they should know aren’t true, but ignore because they want what they want and they are willing to say anything. (“What? People still use the emergency rooms unnecessarily just as much even when they’ve got health insurance? That can’t be true. And we never said it would save money…oh, we did? No, that’s not possible. You must just want poor people to be sick so that you can have more money to pollute the environment with your pickup truck... The new job training and scholarship programs are actually costing us about $250K per $25K job? Well, at least they have jobs and are contributing back to the economy, right?”) Irritates is actually not a strong enough word. But I’m a one-and-a-half cheers for government guy. Pretty much six teams left for five spots on each side. The only excitement is that some new teams are in the mix this year. In retrospect, the cutoff for Little League at 12 years old is the worst possible. 10% of boys have hit the first steps of puberty and can dominate the others come playoff time, even if they are only moderately talented. It discourages the smaller ones who may be more talented, and creates unrealistic expectations for the stars. I suppose it is good for teaching the lesson that life isn't fair. 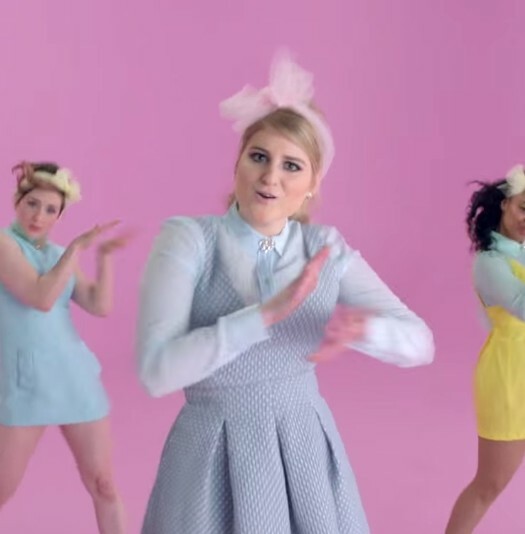 For those of us of a certain age, the fact that Meghan Trainor is from Nantucket is just hysterical. Fundies, revivalists, and camp-meeting attendees still have this unfortunate tendency to brag about how terrible was the previous life they got saved from. You think that's a testimony? Well listen to this. It filters down into all evangelicals, where your "past" is referred to more artfully, but still with this competitive air. In the first weeks of my Jesus Freak days, Stew went on with great seriousness about how he had been involved with "white slavery" before he came to Jesus. Yeah. Hard rain's gonna fall, eh? I keep hoping it will go away, but it clearly has some enduring appeal. Looking for completely unrelated information today, I ran across "Since coming to faith as a 16 year-old, heroin-shooting Jewish rock drummer..."
Reaching for every trump card, there, aren't ya, fella? When it’s your kid accused of bullying, and you know he’s completely innocent, you will brook no nonsense about it being an excellent opportunity to discuss bullying in general and raise awareness. You know that any such conversation will only serve to confirm the impression that your son is guilty of something, even if not the act in question. Those individuals attempting to acquire the microphone and establish conversational space (where they are important) can insist that they only wish to use the issue as a starting point, regardless of the facts of this particular case or the guilt or innocence of your son - they lie. They might be nice people who don’t mean to lie but just like “conversations” about important matters, and don’t think things through very well, but they don’t mean it. Because if it was their kid, they’d see immediately. I don’t mean to get you stuck on the bullying example. It could be your good boss falsely accused, or your daughter who is a coach or mentor accused of sexual pressure on one of her girls, or a spouse under the gun for innocent comments twisted. People only allow those conversations against a background of presumed guilt. This has really brought forth an awareness of whether women have a voice in the churches…this just highlights the American fascination with guns and is an opportunity for a teaching moment…this raises important questions about the militarisation of our police…or government intrusion…or…No. No it doesn’t. It might be an opportunity for the opposite, for a discussion of kids being falsely accused of bullying, or bosses of harassment, or whatever. If we reverse the PC nature it becomes clear. If a black man is falsely accused of some crime and white people are clamoring for his head, it is offensive to use that as an opportunity to go on the talk shows and talk about the legitimate fears the white community feels. He’s innocent! Deal with that first! Then we can come back and talk about the merits of your idea later. So how is it that these nice people keep telling these lies? Some of them aren’t nice, just charming and well-spoken. Some of them get so wrapped up in the cause that what happens to individuals counts for less and less. Some of them just haven’t thought it through by putting themselves in the shoes of the accused. Some of them cannot endure Justice, but can only see it through a special prism of social justice, economic justice, sexual justice, historical justice, whatever. These modifiers are of course all moves away from actual justice. Christians may be more prone to this than others, and Christian clergy especially prone. Perhaps I should be focusing on executive compensation, a more limited version of the topic. But I don’t know enough about either to know how much overlap there is between the two concepts. Part of that fault is likely my own, as I have not inquired closely. Yet I wonder if the lack of clarity lies at least partly with the explainers rather than the listeners. I also cannot tell if people are worried about inequality primarily because it is an inefficiency – an overall drain on the economy, because increased concentration of wealth dangerously enhances the power of the few over the many, or because it just seems morally wrong – undemocratic, unchristian, something. All three seem plausible. Picketty’s book assumes it is bad, so I am told. The whole concept of hearkening to GINI scores suggests that we’re supposed to just know that it’s unhealthy. You know my suspicions already. Whenever there is lack of clarity in the discussion, I ask whether there is lack of clarity in the thinking, and suspect that there is some large unacknowledged emotional reason that is a real driver of the discussion. Do we actually know that inequality harms the economy? How much? In what way? Who measures this? Is the idea that it decreases competition and innovation at all but the highest level, that it is a 1% frictional drag on all levels that is a large problem in aggregate? Tell me how. Is the moral shortcoming something that can be expressed as a generalised Christian or democratic truth that applies to many situations, or is this one of those things that just feels unchristian or unfair after a certain point? What is that point? I can find possible explanations off the top of my head that might apply. Corrupt 3rd-world economies often have extreme concentrations of wealth in the hands of a few. Maybe there’s cause and effect. A lot of people secretly believe that there’s a (mostly) fixed amount of money in a place and if Jack gains a dollar, Jake loses one. It’s not true, but I can understand the feeling. Other folks believe that because the Bible warns against greed and Jesus had some specific criticisms of the rich that we should pass laws to keep wealth in check. Because some people clearly get rich by illegal or immoral methods, there is a spillover that suggests that all of the rich are under suspicion. Or, executives who are hugely compensated might be encouraged to extract the most they can, or care little about the long term and reinvestment. Too great a separation may reduce esprit de corps enough that production ebbs. These reasons and more, I think I understand. It’s just that I don’t recall the evidences for any of these being laid out very systematically that these bad things always happen, or even mostly happen because of inequality. I imagine there is at least some evidence for some of them. Readers who wish to direct me to links, or even longer treatments, are welcomed. Linguistic curiosity: An old Proto-Germanic word walkiskh* was used for all foreigners, which, in their world, were 99% Celts. It was an insulting term, which meant also slave, servile, not-very-art-smay, if you catch my drift. Just about what every tribe in the history of mankind thinks of other tribes. Because it was applied so universally, it was the name various Teutons and Saxons gave to a lot of people, including the Welsh, the Walloons (Beligium), the Vlachs (Romania), the Cornish (Cornwall), and even walnuts, which were not a normal English hazelnut, but some damn suspicious foreign nut. *approximate. always. these languages were always highly variable affairs. Interesting behavior in those Air Raid Shelters. The British Museum underground station no longer exists, having been closed shortly after the war when Holbern replaced it about two blocks away. I saw a Massachusetts pickup with a "Scott Brown/He's For Us" bumper sticker, so presumably that was a previous slogan of his, not a current offering in his NH race. I have disliked that attitude when used by Democrats, and I find I don't like it any better when used by Republicans. There is a superficial deniability that says "You know, us. He's for the little guy, the common man, the regular people, not the special interests/corporate bigwigs/career politicians/elites." Even if that is the conscious meaning, and sincerely felt, I don't believe it is the most powerful one. It is a tribal appeal, us against them, which is unhealthy. Plus, even if many people don't know that this is what is swaying them, there are those who know full well, and embrace it anyway. We stand or fall together. I had a little theory which, upon further review, isn’t likely to hold up under scrutiny. There are relatives who I now have little contact with*. I’m thinking of a nephew I have never seen as an adult (he must be 40 now), and a cousin about 50 who I have seen only once since he was a toddler. Yet I have kept up with both of them from a distance because of reports I get from others, who remain in closer contact with both of us. You know the sort. I wish them well, and they are some part of the tribal background of my life. Communication is different now, and group emails that chain back through several replies, or Facebook shares, or retweets suddenly put you in possession of comments that the original sender never expected would come to you. When those comments are rude statements about political or religious groups you belong to, it’s suddenly uncomfortable. It is rather like the time I was chatting with a Mormon friend, who was joined by another Mormon who presumably thought I was in the fold as well and made some disparaging remarks about gentiles. Ah, so that’s why you think of us when we’re not around. I certainly make generalisations myself, but I hope it is only in response to actual data and real-life examples, not the stereotypes handed to me. Perhaps not. One would have to ask those who disagree with me about that. Their woofing has a schoolyard feel to it, of bumping into people intentionally to see if they will make something of it, or of marking out territory and daring people to cross lines, which also suggests males more than females. Likewise, I saw that most of my male relatives do not set down political markers at every turn - only a few were in this wolfpack mode 24-7. So my theory of male political aggressors and more harmonising females in my family has only weak support. But not no support. The trend is there. Additionally, it is supported by my observations at work, where males are clearly more aggressive in their political and religious comments than females. Church, email, community, also true that the males are - not overwhelmingly but consistently - more likely to set down territorial markers a bit defiantly. These latter categories are important, because those are more conservative individuals making those declarations. The liberals in those groups are less likely to make irritating comments, conservatives more likely. I wonder if this woofing largely takes place when people think they generally outnumber the opposition and are attempting to herd the others into compliance, or invite them out. I think I'm the only referee in most places, and not a fully objective one. Which is to say, of course I'm objective, but A) I have to show false modesty to retain credibility and B) not every agrees with me. *Notice that the sentence is grammatically “wrong” in two ways, but is the clearest and most natural expression of the idea in English. That is evidence that the rules are wrong.